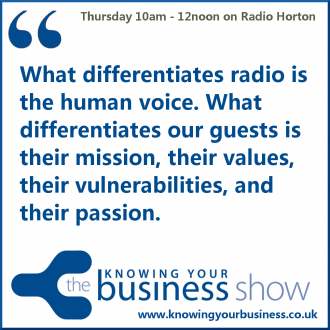 On this open Knowing Your Business Radio show we learnt the business stories of our guests. Why they started. What have been the challenges. Where do they see the future of their business. Who are their ideal customers. We heard the excitement in their voices. Their mission, their values, their vulnerabilities, and their passion. Our guests are Alexandra de Faucigny, Suzi O’Neill and Jake Hayman. Asking the all important questions is international Celebrant, and regular Knowing Your Business Show guest presenter Judy Mansfield. All the radio interview podcasts are available further down this page for 7 days. Five years ago, Alexandra was working as a Marketing Manager and would spend three hours a day commuting to work, which meant personal time was a precious commodity. During this time she became a mother to two girls and was determined to find that all elusive work-life balance. Suzi (47) was born in Sheffield and continues to live near Graves Park with her husband Des of 12 years and their dog Monty. She has a 27 year old step daughter who is a doctor in South Yorkshire but has no children of her own. After leaving school at 16 she worked for BT as a telephone operator and stayed with them for 9 years working in various computing roles. The offer of redundancy tempted her to follow her dream and she left the UK to work overseas, initially as a travel rep, then on to various positions within the travel and tourism industry. Over the next 5 years she lived in Europe, South America and Asia before finding herself in Thailand where she met a little girl who would change her life. The little girl handed Suzi a soft toy that was part of a school project from America, and was being passed around the world in the hope that one day it would be returned with a list of all the places that it had been to. Suzi took the toy to Australia, and passed it on when she reached South Africa, never to see it again. However the seed had been planted, and as she continued on her journey around the world, ideas of a cuddly companion to share life’s adventures started to form. Suzi’s own childhood memories had been captured by her grandfather, with photographs and diaries of her early years. The two merged together and formed the idea for Jofli the ‘Journey of life’ bear, to encourage families to capture memories over a life time. As Suzi continued on her travels, Jofli remained just an idea, but she was constantly faced with news articles about the need to improve literacy, social interaction and family bonding for children. She recognised that a product like Jofli Bear could help with these issues, and waited for an experience toy manufacturer to seize the opportunity and fill the gap in the market. Suzi eventually returned to England where she met Des, the tenant who had been living in her house for 3 years, and whom she married soon after. They continued their travels together in the Gambia, where they managed a 5 star eco-tourism resort and bush lodge, and had many adventures over their 2 year stay. All this time ideas for the travel bear continued to play on Suzi’s mind, and 8 years on, with still nothing similar on the market, she felt duty bound to bring Jofli Bear to life. Suzi started her journey into the world of business in 2006 and launched at the Toy Fair in London in 2008. The process of turning an idea into a tangible retail product was a journey in itself, however Jofli now comes with a backpack, diary and pen, a story book and an ID card to record his adventures online. The bears are used in schools for literacy and road safety, and by families to record memorable moments for new-borns through to grandparents. However some of Jofli Bear’s adventures are not so light hearted. They have been used in adoption and fostering to keep life story books for children, by families who have children in hospices to record precious memories and by many parents and grandparents who are separated from the family unit. Suzi’s own childhood was not the perfect family picture, her parents divorced, her sister was taken into care, and she’s seen first-hand the destruction and loss caused by alcohol and drugs. Unfortunately, this is the story for many children these days, but Suzi wants to show children that there is another world out there and inspire them through Jofli’s stories of life’s adventures. Suzi’s aim is to create a series of Storyjournals to educate, encourage family interaction and introduce children and parents to new ideas. She believes the ‘Journey of Life’ can take children along many different paths, and spending quality time with supportive parents or carers is a vital part of helping children to create positive memories along the way. Suzi volunteers in secondary schools to inspire creativity in business and is an advocate of family learning to educate young children. Jake advises on private and corporate philanthropy through The Social Investment Consultancy and helped launch a national – now increasingly international – social enterprise, Future First. Future First helps state schools and colleges build alumni networks to get former students involved at their old schools as career role models, work experience providers, mentors, volunteers, governors and donors. In 2013 Jake helped launch Frame Again to revolutionise the photo framing marketplace. You get to pick colours of the frame to curate the photo and the frames are magnetised to sit side by side. They offer a complete service so you can upload and crop your photo at www.frameagain.com and will print, frame and deliver it next day. Frame Again turned down Dragons Den and then went on to crowd fund £60K. Jake sits on the social investment and finance committee of the LankellyChase Foundation and the board of trustees of the Early Intervention Foundation. 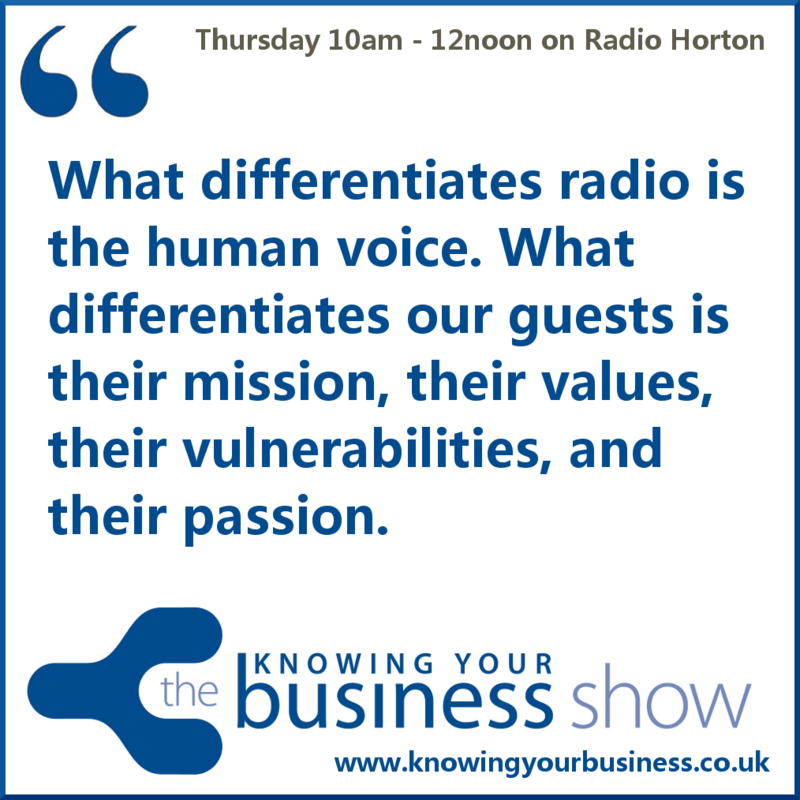 This Knowing Your Business radio show has been presented by Ian Gentles and guest presenter Judy Mansfield.